Less than a week ago, Tiffany Schwantes, 34, was hooked up to an intravenous chemotherapy drip at her local cancer centre in Huntsville, Alabama, receiving treatment for cancer that has metastasised to her lungs. Adjusting her chestnut-coloured wig in front of the mirror in her hotel room before the show, Schwantes said, “I feel good. I feel pretty.” The stay-at-home mum was diagnosed with stage-four cancer of the bile ducts and liver in 2012 when she was 29. “Going from a young wife and mother to a full-time cancer patient was hard. I wasn’t used to going to the doctor two to three times a week. I wasn’t used to feeling so bad that I couldn’t take care of my children.” For just a few hours on Saturday night, all that was almost forgotten. The models, some of whom have had chemotherapy, surgery or radiation, danced their way down the catwalk to Destiny’s Child’s Survivor, sporting floor-length gowns, diamond earrings, and topping off their looks with long lashes and striking makeup. 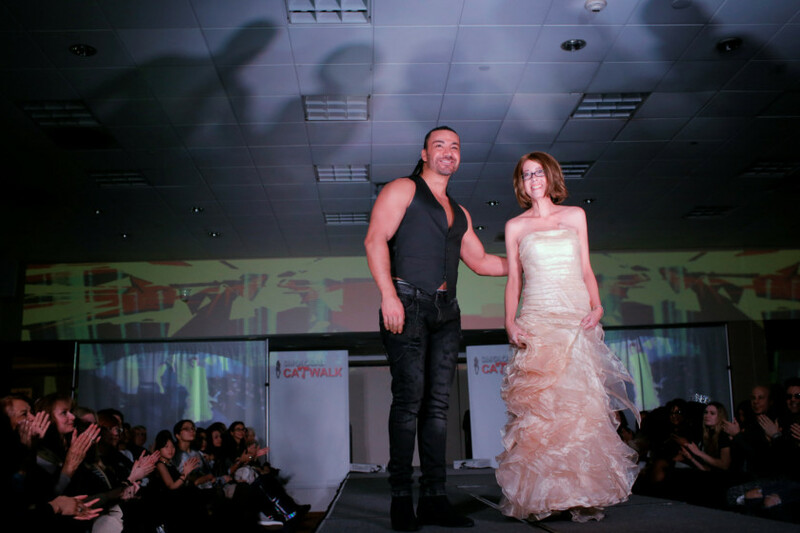 The Surviving in Fashion event was put on by YES!, a non-profit organisation that provides support to anyone affected by advanced cancer, and SMGlobal Catwalk. Bill Ramey, 60, of Greenwood, Indiana, was in New York for the first time to brave being the only man on the runway. He wore blue jeans and a black sweatshirt that read: “LIVE LIFE, LOVE LIFE.” “My goal is to make it down and back on stage and remain upright,” said Ramey, who was diagnosed with stage-four colon cancer on Valentine’s Day in 2013. “I got to do all three this summer.” After taking a deep breath, Ramey said, “I’ve accepted the fact that I’ll probably die from cancer. But God has given me some extra time, and this is my way of paying it forward.” Schwantes, whose husband of 13 years was there to support her, said she hoped the show would inspire others to feel as good as she did for the night.